We've been also advised to give a glance at Budapest, which is only three hours away by train. It was said to be a gorgeous place. We were also lucky enough to have a stay in downtown Budapest at a low price. So the story begins. The post was going to be large, so I decided to split it into several parts. The ingenious Dutch have constructed an attraction called Wheel of Energy365. 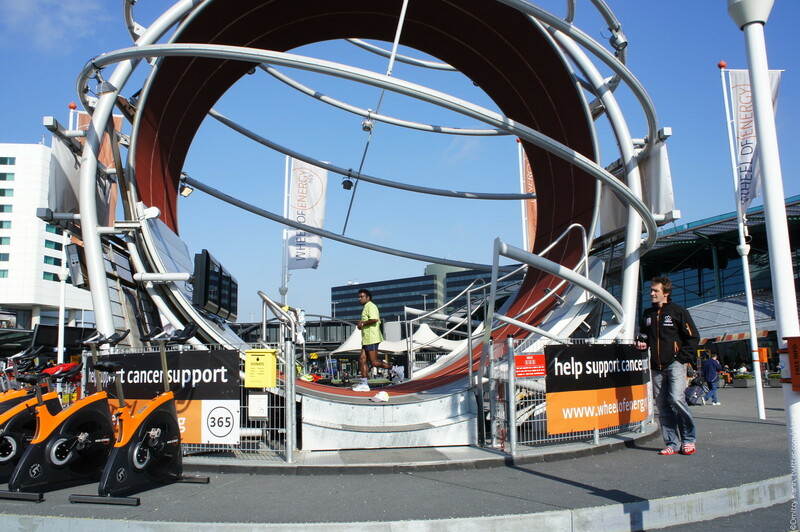 The wheel advertises fund-raising for a cancer research project. It revolves 24 hours a day and, from my point of view, is in itself an interesting thing. Anyone can buy a privilege to run inside for €36.5 per hour. 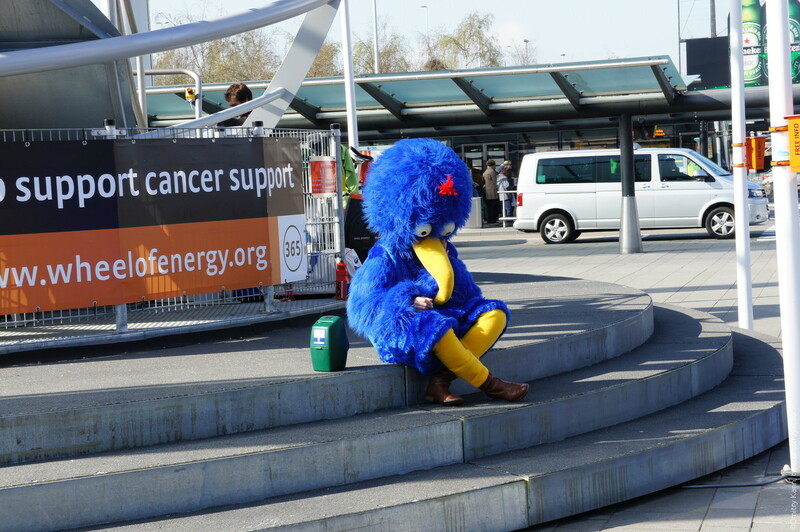 In the meantime a cute blue bird collects money from passers-by. There are three lanes inside the wheel, so you can invite more people to join. Undoubtedly, it's a noble project and I honour people started it, as well as ones signing up for it.